Paying customers to reduce their demand – such as through the common Peak-Time Rebates (PTR) — is not the same as time-varying electricity prices. PTR is a very inefficient alternative to charging time-varying rates that reflect the true time-varying cost of electricity. Despite the flaws, PTR programs, and their close cousin aimed at businesses — demand bidding programs — are growing. In California, Pacific Gas & Electric, Southern California Edison, and San Diego Gas & Electric have demand bidding and SCE and SDG&E have PTR programs. PTRs are also in Maryland, in New Orleans, in Ohio, and many other parts of the country. What’s wrong with paying for demand reduction? Where to start. No, I mean that literally, where to start? What’s the baseline level from which you start paying for reduction? In nearly all programs, baselines are based on the customer’s consumption in the recent past, usually on other high-demand days. But such “endogenous” baseline setting distorts incentives for conservation. When my baseline for peak-time reduction is based on consumption during other high-demand days it undermines my incentive to conserve on those other days. Frank Wolak demonstrated that this effect is significant in his study of Anaheim. 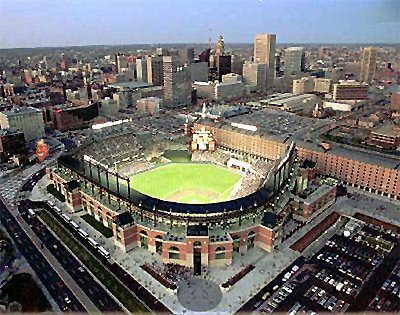 It can even lead to intentionally increasing consumption during baseline-setting times, as was uncovered at the Baltimore Orioles baseball stadium, which was turning on stadium lights during electricity shortages in order to be paid to then shut them off. The distorted incentives also undermine long-run investments in energy efficiency. Sure, a more efficient air conditioner will cut my usage at critical times when the utility is paying rebates, but it will also cut my usage at baseline-setting times, which will lower my rebates, thus reducing my incentive to upgrade the A/C. In contrast, time-varying pricing — where prices are reduced in most hours, but higher during high-demand times – results in bigger (and appropriate) rewards for buying the efficient A/C. Once the baseline is set, another problem pops up: The incentive to conserve changes drastically around the baseline quantity. Rebate programs pay for reductions below the baseline, but don’t charge extra for going above the baseline. Take a typical hot summer day when a conservation rebate day is announced. On top of the customer facing a price of, say $0.20/kWh, she now will get a rebate of $0.60/kWh for the difference between her baseline and her actual consumption, but only if she cuts consumption below the baseline quantity. That means that below the baseline quantity the incentive to save is $0.80/kWh – the electricity price she saves by consuming one less kWh plus the rebate she gets for doing so. But above the baseline, the incentive to save is still just $0.20. The way PTR baselines are set, on a typical critical day nearly half of all customers will be far enough above their baseline quantity that they won’t have any shot at getting the rebate and therefore won’t have any extra incentive to cut consumption. In addition, many of the customers who do end up below baseline and receive a rebate will be there by accident, for instance because they just happen to have been away from home that day. In demand reduction studies, these people who receive subsidies for doing something they would have done anyway are called “free riders.” Wolak and other studies have shown that most of the demand reducers who get paid the rebate are actually free riders. Catherine’s consumption during the baseline setting period has established a baseline quantity of 50 kWh during each of two conservation rebate days. She is a reliable sort, who dutifully reduces her consumption to 45 kWh on each conservation rebate day. The rebate is $0.60 per kWh “saved,” so for cutting her consumption to 45 kWh on each day, saving a total of 10kWh on the two days, she receives a total rebate of $6.00. Max is the flighty, unpredictable type. He has also established a baseline quantity of 50 kWh, but on one of the two rebate days he’s away from home anyway and his consumption drops to 20 kWh. On the other day, he stays home and cranks up the A/C, raising his consumption to 70 kWh. His average consumption on the two days is 45 kWh per day, just like Catherine, but his total rebate is $18.00, all received for his 20kWh day. Max’s rebate is three times as large as Catherine’s even though his average reduction on the rebate days is the same. That’s because when Max decreases his consumption he gets the $0.60 rebate for every kWh below the baseline, but when he goes above baseline he doesn’t have to pay the extra $0.60. The sudden change in the effective price at the baseline quantity rewards people with unpredictable demand relative to people who have reliable consumption patterns. If during each hour the price were the same for all kWh that Catherine and Max consume, Max would be getting the same bill savings as Catherine. That’s what would happen if Max and Catherine were on time-varying pricing instead of PTR. If PTRs are so bad, why are they so popular? Because they hide the cost. Rather than a higher price on the hottest days of the year — reflecting the truly higher cost of providing electricity on those days – PTR pays out for conservation (real or imaginary) on those hot days and raises the price a bit on all other days to cover the cost. Thus, customers who consume a higher share of their electricity on non-peak days (e.g., those who use less, or no, air conditioning) subsidize heavy peak-time users who manage to be slightly less heavy users on a specific peak day. Some defenders of PTR say it is the way to transition to time-varying electricity pricing. I’m very skeptical. Once a customer gets used to being paid for reducing consumption on peak days, it is very difficult to change to a system that just charges higher prices on those days. There may be a utility that has managed to move from fully-implemented PTR to time-varying pricing, but I’m not aware of any example. To integrate intermittent renewable energy sources, we really need to start taking demand-side participation seriously. PTR is an inefficient route to that end that will end up paying for a lot of faux “demand reduction.” Time-varying pricing is the direct route to the goal. Sacramento Municipal Utility has recently had a very successful rollout of critical-peak pricing, one form of time-varying pricing, which the real Catherine has blogged about. My own research suggests that time-varying pricing would reduce bills for the majority of residential and industrial customers, and that it would raise bills by more than 20% for only a few percent of customers. Those are the customers who consume the most at peak times and impose the most cost on the system. Prices that reflect the cost of electricity would be a more effective way to integrate renewables and a fairer way to allocate the costs. If you want an even geekier discussion of the problems with PTR, I recorded a screencast video on the subject for my MBA course on Energy & Environmental Markets. I conducted the 2013 load impact evaluations for both the Southern California Edison and San Diego Gas & Electric PTR programs. On PTR event days, we found that the vast majority of customers do not provide any response at all, while there is a handful of customers that provides underwhelming response (around 5% reduction) relative to how similar customers perform on CPP (around 15% reduction), even though the price signal may be similar. For PTR, my hypothesis is that imperfect information, such as not knowing what their load is relative to the reference level on a PTR event day, leads to confusion and a lack of customer engagement. On the other hand, studies have shown that CPP and TOU lead to relatively high response, even if the price differential is relatively low. Basically, the response customers provide is not entirely due to prices. Customer understanding and engagement play a huge role. I am told that one (out of 12) of Wellington NZ retailers is just now starting to offer its customers wholesale spot market prices (plus distribution retailing charges). The hope is that the “elastic” customers will sign up first, learn how to economize, and that the word will spread. Other retailers are offering plans to cater to different tastes. For example, some customers like their month-to-month bill variation to be as small as possible. This is of course the correct theoretical electric pricing structure for all the reasons discussed. Unfortunately it is next to useless in practice with the possible exception of large commercial or industrial customers. No regulatory commission in the country is likely to order real dynamic pricing as the default for mass-market customers (residential and small commercial) any time soon. At best, dynamic pricing might be offered as an option. As an aside, the Maryland Public Service Commission (I’m the Staff lead on such policies) didn’t even allow one of our utilities to offer real time pricing as an option and instead ordered PTR as the default. After our experience with very high prices in the Northeast resulting from the polar vortex, I don’t see this policy changing for utilities that are price regulated by state utility commissions. 1. Real dynamic pricing as an option that is likely to be used by a small percentage of customers. 2. PTR as the default for all mass-market customers (the case in Maryland). 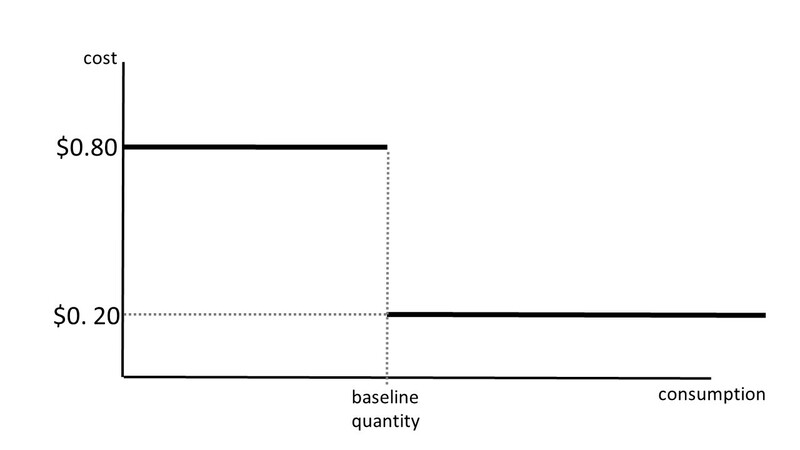 Under both pricing regimes less than all customers are likely to respond to the price signal. Our pilot results showed that customer response to PTR wasn’t strongly different from response to real time prices for those customers that did respond. Of course PTR will have some percentage of free riders (but the vacation example is actually little different for real time pricing than for PTR in terms of the effect of reduced load on energy prices – in both cases load has been reduced). But the default PTR case has many times the number of customers reducing load compared to the likely very small percentage of the total customer base reducing load under real dynamic pricing (Policy 1). So in practice PTR produces a far greater actual effect on wholesale energy and capacity markets than a theoretically pure pricing regime. The discussion has greater merit for larger commercial customers. Unfortunately the Camden Yards example confused PTR and PTR baseline calculations for a mass market program with capacity payments (and baseline calculations) received under PJM’s capacity structure (I can see Camden from my office window and did wonder why the lights were on). PJM does have a somewhat stalled effort to move these customers from the capacity credit approach to “Price Responsive Demand” that would not be dependent on baseline calculations. In contrast to mass-markets, utility commissions are far more willing to allow dynamic pricing for large customers. For many of us in the Northeast, real time pricing is the default price for large customers. However most of these customers buy from competitive suppliers so few are on default service. In those cases their pricing is seldom real time but often has some real time characteristics with floor and/or ceiling pricing. It doesn’t matter how many customers participate in PTR… if it does not work or if the peak or problematic hours change. Because our PTR uses the AMI systems, the relevant peak reduction hours are whatever PJM says they are on an event day (or on a required test day). And, we have strong evidence that PTR does work – we get the expected observed load reductions during the peak event. Much of the reduction does come from direct load control, but a significant amount also comes from customer behavior. We can argue whether PTR is a valid dynamic pricing approach, but if it is Maryland has by far the most customers with default dynamic pricing in the country. As a practicing regulator, I always need to reconcile theory and practice. Great post. Also applies to water, most famously with “use it or lose it” property rights/regulations for irrigators. We’re going to face disaster if PTR is implemented at retail. Why is it popular? Politicians listen to customers who want to be paid for not using instead of being charged to use. Which customers? The big ones who can take the time — and who will make enough money — to game the system. An invitation for corruption and inefficiency. The pilot and full implementation results on PTR came in a long time ago so it is a mystery why anyone would disagree with your comments. While almost all pilots and implementations of PTR have produced high customer acceptance, the explanation is pretty simple. First, PTR is a passive rate… it does not require customers to do anything in response and there is no penalty or cost for inaction. Second, PTR just does not work. The California PUC mandated PTR for residential customers. When SCE evaluated the impacts they found that over 80% of the incentives were paid erroneously (see pages 17-18 http://www3.sce.com/sscc/law/dis/dbattach4e.nsf/0/E6D5F989256A6A45882579220078B7CB/$FILE/A.11-06-007_GRC+Phase+2-SCE-03+Updated+Testimony.pdf ). Finally, PTR employs fixed time periods which just don’t support the load variability being introduced by PV, wind, and other renewables. Consistent with Robert Borlicks comments, PTR was a bad choice when first proposed and the evidence confirms it is still a bad choice. Nice blog on the inefficiency of historical (but recent) baselines. Very helpful for the classroom. A related (to your hiding-the-cost) motive for baselines is that charging shadow (including time of day) prices would be politically untenable – big changes in consumer bills (mostly increases) and large revenue surpluses (e.g. for utilities). A more politically feasible first-best solution (if we had the info) would be to ration at the efficient quantity. Equivalently (assuming rational consumers), set a baseline at efficient consumption, charge efficiency prices for excess consumption, and set the price for below baseline consumption to eliminate the revenue surplus. Equivalently, charge scarcity prices and give a lump-sum (Sally Holtermann 1976) rebates equal to the difference between the first block price just described and the efficiency price, all times efficient consumption. The problem is that we don’t know efficient consumption. Historical baselines are implicitly used as a proxy, albeit without a full understanding of the moral hazard consequences that you describe. One way to reduce moral hazard would be to move the historical period backwards from recent periods. Of course then we would be ignoring major changes in use that may have been driven by efficiency. Another way would be to establish categories, e.g. homes of various sizes, and to take the category averages. (In the case of small numbers, you can go outside of the jurisdiction.) Or design a Groves-Clark type of mechanism. But it’s hard to imagine that an abrupt change to straight time-of-day (and place) pricing would fly politically. P.S. Historical baselines are inequitable as well as inefficient. My parents lived thru California water rationing back in the late 80s. Since they were conservationists, they had already eliminated wasted water. So they had already cut back to, say, to 60% of normal use. When 50% rationing came along, they had to cut back to 30% of normal use. No good deed goes unpunished. In electric power business it is not the quantity (energy usage), but the timing (concurrency) of usage that causes issues and price spikes. There is a fundamental difference between energy (power produced and consumed) and capacity (capability to produce power). Power is cheap and abundant at night and expensive during day peak hours. Same amount of energy costs more because it engages more expensive peaking plants (and pricing rules assign clearing [peak] price to every MW produced at that point of time). Most of the time we don’t face energy scarcity but capacity scarcity. Consumers should thus not be charged excess amounts simply for consuming more, but should be provided incentives to spread their usage across time and shift it to the times when less expensive units are engaged in production (time-of-use pricing schemes). This is unlike water, where reservoirs contain fixed quantity to be consumed (does not matter when in a day, for a moment ignoring longer reservoir-filling cycles), so the concluding analogy is also misleading – and can lead to bad policy suggestions that do not address the underlying causes. Real time pricing is also far simpler to implement the Demand Response or PTR. With Demand Response a mechanism has to be set up to allow people to opt in and then to signal them when the ISO wants them to cut back. To implement demand response we are now setting up a bidding process and a market. If we simply charge the real price, customers will make the adjustments on their own. We don’t need a complex mechanism to elicit their response. In 1973 [or 1974, the Arab oil embargo year, and it was a rather cold winter in the Bay Area] I stopped by to tell a neighbor to keep an eye on my apartment as I was going on a 4-week trip. As she opened the front door I felt a blast of hot air,. She told me that she was ‘setting her base usage at a high level’, so when there is ‘rationing’ she would still have enough allocation. PTRs have similar dysfunctional attributes. People will ‘game the system’ no matter what; you must have a system that is gaming-resistant. If a supplier is required to ‘assure’ a certain supply level, the buyer must be required to buy a certain level. This can be accomplished by setting a fixed charge at varying levels, and the usage rates may be different for each [or a category] of user. This may have been technologically/ administrative impossible some years ago, but now with smart meters it is just a matter of changing a few settings on the dashboard. So far, as far as I know, smart meters have only resulted in the firing of meter readers … make this type of change and you start really getting the benefit of the technology. Great piece, Severin. One nit, though. After “misconception in the world of energy policy:” the following paragraph is the corrective, not the misconception. I was a bit confused at first. Even worse, DR programs are just complicated. They usually involve third parties. The “reduce” signal must be propagated to the 3rd party, then propagated to the user equipment, then load data aggregated and sent back to both the utility and the third party, then the third party must be paid, etc. Contrast that to a simple RTP. The only new piece is getting the price signal to the user equipment, which should be trivial in this age. Imagine a world in which a simple internet API allows appliances and other power equipment to contact a utility server, supply maybe a zipcode and a tariff ID, and pull down a few bytes that represent the current RTP as well as maybe a short term forecast of prices for the next few hours. Devices could then use that info to make intelligent decisions, subject to the guidelines provided by their human owners, to reduce or delay use. That would be simple, effective, it would allow users to opt-in gradually over time, and it would require no new data or cash flows, cloud-based decision making, etc. Sadly, we’re not headed in that direction. That sounds a bit like Transactive Energy, and we do seem headed in that direction. The worst businesses in the world are those created around an artificial construct because they live or die with the stroke of pens, more so than market dynamics. Apart from baseline gaming, the worlds of EE and DR are at odds over this when really they should be different tools for the same solution. One anomaly we have found is that many large DR participants have discovered they can save much more in energy costs than they can make in DR programs IF they apply DR “event techniques” daily to avoid setting new demand ratchets. At its heart, this is not too different from the TE concept of paying for energy and then transport and separate but related transaction. If you couple Transactive Energy to Transactive Controls as PNNL is working on, then you really do have that “simple” API. The newer profiles of OpenADR, based on Energy Interop and EMIX standards from OASIS, support these things today. I hope you are right and that one (and only one!) of these protocol standards gains traction. But I believe utility, ratepayer, and utility commission buy-in will be difficult to obtain. I could not agree more with Severin regarding the dysfunctional aspects of PTR. While DR advocates hail Peak time Rebates (PTR) or Critical Peak Pricing (CPP) as a “dynamic” rates, they are not because they are either on or off and cannot adjust to varying levels of wholesale pricing or supply shortfalls. In contrast to real-time pricing, which is fully dynamic and delivers just the “right” amount of demand reduction, PTR and CPP either deliver too little or too much. Two years ago Chris King made a presentation at a DSRG Town Hall entitled: “Let’s Put 1.2 Million Californians on Peak Time Rebate and See What Happens.” When I pointed that PTR is inefficient and far inferior to Real Time Pricing (RTP) Chris replied “but we have to learn to walk before we can run.” Really? Chris King’s comment reminds me of when I learned to ski back in the early 1960s. At that time a novice was first taught to snow plow. However, that created a problem because it ingrained a habit that was hard to break when it came time to make the transition to parallel skiing. A similar problem will arise when trying to move from PTR to RTP, as Severin has correctly indicated. Of course, all of this assumes that retail regulators will get up the courage to mandate RTP. The CPUC has certainly not shown much leadership in this area. Which brings up another drawback to PTR or CPP, i.e., it leads the regulators to think (or at least pretend) that they have implemented dynamic pricing so they need not go any further. We need RTP, no doubt about it. But how do we sell this to the customers? If they accept it the regulators will have no choice but to follow. Robert, I’m a believer in the straight-to-parallel technique for teaching skiing…little to no reason to use the wedge at all. But I have a hard time believing CA is ready to go straight to RTP. As much as I’d like to see RTP today, my sense is that there has to be something between here (at least for residential customers on the tiered system) and there, CAISO LAP price straight to their smart meters every 5 minutes. It almost feels like the same principles that drive companies to produce 100 calorie snacks. Results similar to 1984 by utilizing pseudo-freemarket principles. As far a utility which utilizes a time-varying rate, would Bitcoin qualify? Energy Institute Blog Money for Nothing?